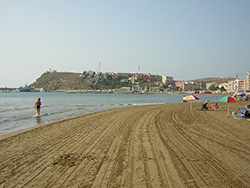 Your first stop when you get to Málaga should be one of its many beaches. Málaga owns 40kms of coastline, with beaches ranging from golden sands to rock and shingle, developed urban areas to wild and hidden stretches of coast. Best for families are Beach Las Acacias (urban and developed, protected by an artificial shelter) and Beach Chanquete-El Palo (a dark-sand beach that’s slightly less crowded). 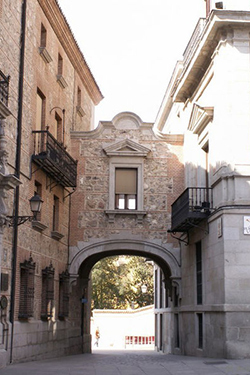 Converted from Picasso’s former home on Málaga’s Plaza de la Merced, here you can see original works from the great Spanish painter, as well as other works from his surrealist contemporaries. Discovered very recently in the last 60 years, the incredible five million-year-old Nerja caves are found on the slopes of the Sierra Almijara Mountains. Go on a tour to see huge chambers filled with stalagmites and stalactites, as well as the world’s widest natural column in the huge “Hall of the Catacysm” Sala del Cataclismo and Palaeolithic wall painings. 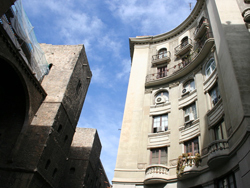 Guadi’s amazingly curved, twisted and colourful architecture is free to view all over the city. Start with a look at his unfinished masterpiece, the Sagrada Familia cathedral in the centre of town, then head to Park Guell in the suburbs to discover a whole park filled with specially-commissioned works including mosaic terraces and a fountain with dragon sculptures. The park also has a house where Gaudi lived on its grounds, which has been converted into a museum. Barcelona’s most famous food market La Boqueria on La Rambla sells all kinds of Spanish treats on the cheap: come here to pick up local sausages, cheese, fruit, veg and fish. Spend a day taking in the sunshine, sea and sand on Barcelona’s urban beach: sun-tans and lazy lounging come for free! Go for a stroll in this large city park, which has a central boating lake, rolling green slopes, sculptures and strutting families of peacocks. Chueca is a lively area just off central artery Gran Via, well-known for its street cafes, boutique shopping, bars and night-life. Young, friendly and inclusive, the prices are low and the fun-factor is high. Malagainformation.com is a website owned by the Spanish company Spanish & Internship Consultant S.L. 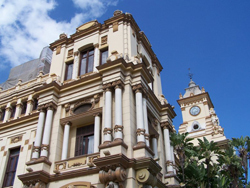 Calle Miguel Bueno Lara, 8, 6-3. info@malagainformation.com, which is listed in the official Business Registry of Malaga (Registro Mercantil) with the following Cif and registration numbers (Cif B92896588, Tomo 4437, Libro 3346, Folio 40).